The Care Quality Commission (CQC) is the regulator body responsible for both social care and healthcare standards in England. The idea behind the commission is that it’s independent from the NHS, the NHS Trusts and the various types of healthcare facilities that fall under its remit. The organisation looks at the standards of healthcare provided to patients within healthcare facilities. It also stands to reason that the health and safety of healthcare workers in these same facilities are owed a duty of care too. Safety on the job, especially when it comes to lifting heavy medical equipment or assisting in the movement of patients within a medical facility, is of equal importance. It is useful to examine how the condition and operation of patient facilities intersects with the safety of healthcare professionals performing their duties within the facility. Care Quality Commission – Who Does it Help? The focus of the CQC within England is on healthcare facilities. Is the home or medical health facility in a suitable condition to provide adequate (or improving) levels of care to patients? One aspect of the commission’s concern is focused around safety. For instance, the flooring, a seemingly uninteresting aspect of a facility, becomes relevant for both patients and staff members when it’s uneven, poorly maintained and dangerous when spills are not mopped up effectively. Certainly, a member of staff (or a patient) slipping on the floor could lead to broken bones, torn ligaments and other significant injuries which affect the level of care. Within healthcare facilities, patients move around a fair bit in a given day or week. Whether they’re being relocated to a private room, taken for X-rays or other medical tests or simply being transferred from a bed to a wheelchair and back again later. The safe moving and handling of patients affects the level of care that patients receive. Awkward relocations from ward to ward, or slip ups when transferring a patient to a wheelchair, impact care levels when accidents occur. A frail patient who lands poorly on the floor when a transfer goes wrong can cause broken bones and possibly a lot worse. 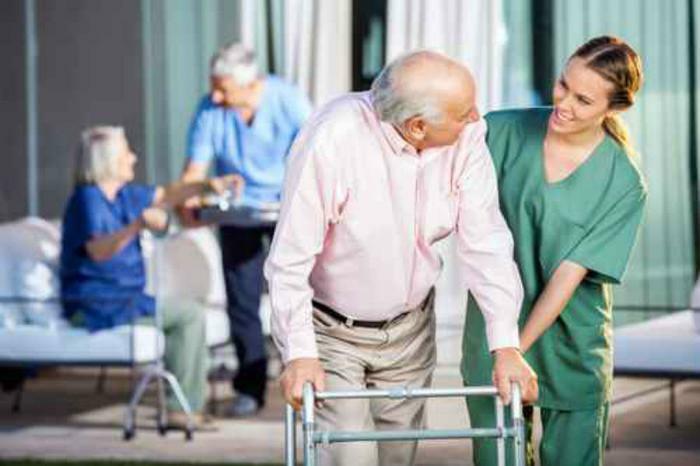 Quality of care is impacted when medical staff are themselves injured when moving a patient improperly whilst performing their normal nursing duties. Staff could go on medical leave, causing the ward/care home to become short-staffed or temporarily staffed. Calling in the temps can mess up the equilibrium of the ward’s/care home operation and wreck the budget too. Patients may also feel guilty if a nurse injures themselves while trying to move them. This also affects their happiness while staying in the facility. Being able to move a patient in a safe manner requires learning multiple moving and handling techniques (some require just one person and others need more to complete). Some nurses/care workers receive little, if any, training on how to safely move patients without injuring themselves or their patient. It is advisable that healthcare facilities support staff by sending them on qualified training courses to learn how to avoid on-the-job work injuries that would be bad for all concerned. The quality of care relates both to patients and medical staff. The point is a subtle one and often overlooked with the focus squarely placed on the proper care of the patient. Nonetheless, healthcare facilities which pay attention to their staff’s safety will experience higher staff retention rates and fewer workplace interruptions. Excellent training and delivered with utmost professionalism. I can now fully appreciate the importance of good posture! Excellent course, really informative, clear to understand and practical. Very informative Manual Handling Training Course. Learned a lot, especially the importance of correct posture and how to adopt it in the workplace. Would definitely recommend Fit4Work without hesitation. Thank you very much for the training last week it has been very helpful … should we require any training in the future I have your number on speed dial! It was a really interesting day. The fact that we had a little anatomy lesson in the morning was so useful as it gave us an awareness of what is happening “inside” and how various sitting positions can compromise us. Your informal approach made it so much easier to take the information in, and the advice you gave us whilst doing our first assessment helped work out any queries we had. Just wanted to say on behalf of my team how useful we found the DSE Training you delivered for us last Thursday in Leeds. The feedback from all the team has been very positive and your expertise as a physiotherapist greatly enhanced our learning. Thanks once again. Why not visit our other website?